Best Paper Award—for the Original Article with the highest total number of downloads during the previous year. 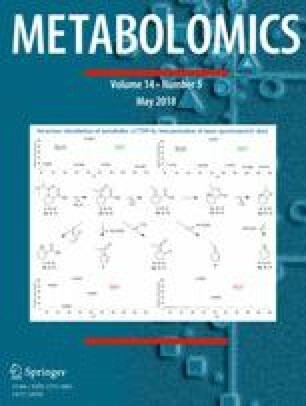 The first author of the winning paper receives a complementary ebook from Springer (value 200 €), a front cover image in the Metabolomics journal, and the paper will be made freely available for 30 days. The runner-up paper will also be made freely available for 30 days. Best Review Award—for the Review Article with the highest total number of downloads during the previous year. The first author of the winning paper receives complementary e-books from Springer (value 200 €), a front cover image in the Metabolomics journal, and the paper will be made freely available for 30 days. The runner-up review will also be made freely available for 30 days. In order for a paper to be eligible for these awards it must be either a primary research paper (which may include best practice or standards articles, as well as letters and short communications) or a review article (which includes white papers) that was published in its final form in 2017. All awards will be based on popularity via downloads. Winner—Spicer, R., Salek, R.M., Moreno, P., Cañueto, D. & Steinbeck, C. (2017) Navigating freely-available software tools for metabolomics analysis. Metabolomics 13: 106. https://doi.org/10.1007/S11306-017-1242-7.